Typically associated with family picnics, mouthwatering barbecues, and a gloriously extended weekend, Labor Day also happens to be a bargain hunter's paradise, especially if you have a thing for beauty. 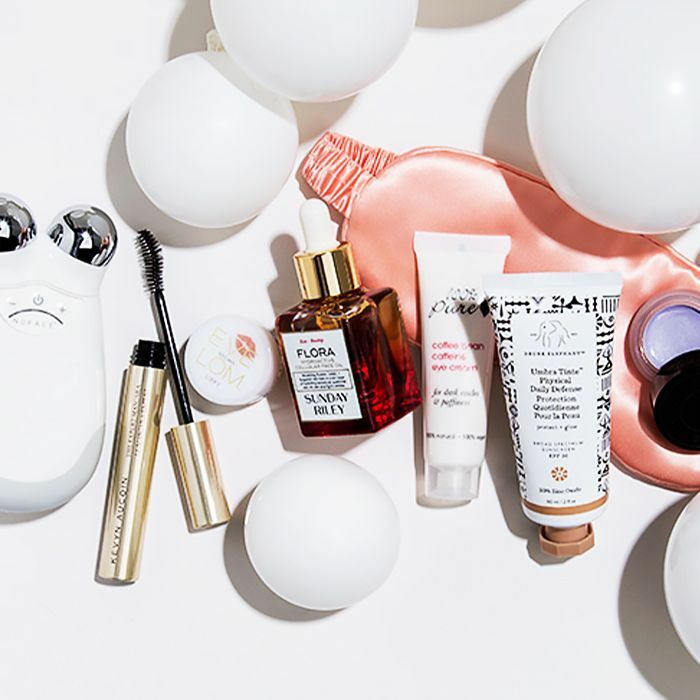 From Ulta to Dermstore, some of our favorite brands and retailers are joining in on the holiday spirit (sans sailboats and hot dogs) by giving the gift that truly keeps on giving: beauty products—and lots of them. With so many epic deals, we thought it only fitting to round up the best of the best in addition to all the important details (like what, when, and how) to ensure you get the product fix you deserve this holiday weekend. Because, hey, you've earned it. Keep reading for the must-see list of the best Labor Day beauty sales. Save 20% sitewide through September 5 (brand exclusions apply) with code LONGWKND at checkout. Take advantage of Ulta's 21 Days of Beauty event through September 23. Each day. a few of your favorite products will be marked 50% off. Summer may be ending, but your glow doesn't have to. Score any regularly priced item sitewide at 35% off through September 5. Use code LABORDAY35 at checkout. Score so many online deals with 20%, 30%, and 50% off certain products through September 4. Plus, you'll get free shipping if you spend over $25. Sometimes more is more. With Sigma's Buy More, Save More event, you can score as much as 30% off through September 4. When you spend $65 or more online, you'll receive two top sellers (the Rosewater Balancing Mist and Rose Hand Cream) in addition to a fun sneak peek of a brand-new product. Use code MYSTERY through September 4.
Who says you can't feel a bit French during an American holiday? Receive 20% off all Anthelios sunscreens through September 4. Use code LDW2017 at checkout. New Yorkers, take note. Through Labor Day, you can receive 20% off a few of the spa's most coveted services, including the Biologique Recherche P50 Exfoliating and Detoxifying Algae Wrap, the French Sudatonic Slimming and Detoxifying Body Wrap, and the ILoveSugar hair removal service. Love organic beauty supplies? Treat yourself to any travel-size item for free when you spend $50 or more online through September 4. Use code MYTREAT at checkout. Save 30% with Butter London's sitewide sale through September 4 and opt into the friends and family free-shipping event. Through September 4, you'll receive 30% off your online order. Use code LABORDAY30. Who can't appreciate a good flash sale? Stock up on your hair goods and snag 20% to 25% off all online orders through September 4. Shop your way to better skin this Labor Day with 20% off sitewide. Plus, with every purchase over $75, you'll receive a free Dermalogica Double Cleanse Pack (valued at $33). Use code BEAUTY. Spend $75 dollars online and you'll receive the brand's beauty travel set complete with a vegan leather makeup bag, one mini Tattoo Liner in Trooper Black, and Everlasting Liquid Lipsticks in Santa Sangre and Exorcism. Happy shopping! Through September 4, use code FREETRIO at checkout. Next up, these are the products our editors love more than the cult classics.